The best day-tour on our recent cruise was certainly the one we had with Jorge in Costa Rica! He was very helpful when designing the tour with us and prompt with emails. When we had to condense the itinerary because the cruise stop was shortened a bit, Jorge was great at adapting it for us. After we docked in Port Limon, we found him once we got all the way outside the main terminal, per the directions he emailed to us previously. Our group of 14 boarded the mini bus along with a driver, Jorge, and botanist guide Javier. We had plenty of room. The drive through the countryside was beautiful, and our guides gave interesting commentary and answered questions along the way. It was very enjoyable and not the routine canned commentary that you often get on tours. We enjoyed a shopping experience at Luluberlu Art Gallery in Puerto Viejo- a terrific place to browse and buy souvenirs that are unique. 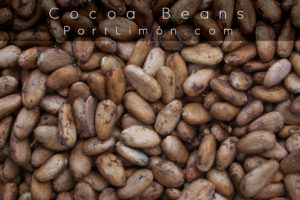 We then made our way to Cocoa Trails for a cacao processing tour. The site guide demonstrated the growing and cooking process and we sampled some chocolate at the end- it was very good and unlike most chocolate you buy at home. Our visit included a walk through the rain forest, and this was just as interesting- especially with Javier's commentary. On the return trip to Port Limon we stopped for lunch at a local soda that Jorge arranged, and we all enjoyed authentic Costa Rican fare at a reasonable price. When we returned to town, we had a sightseeing drive and stopped at a grocery store to buy a few things at better prices than in the cruise terminal. Everyone had a great day; Jorge organized it well and we returned to the port on time without ever feeling rushed. We look forward to returning one day and taking another tour with Jorge!